One hour later – a rendition of Marie’s Wedding! 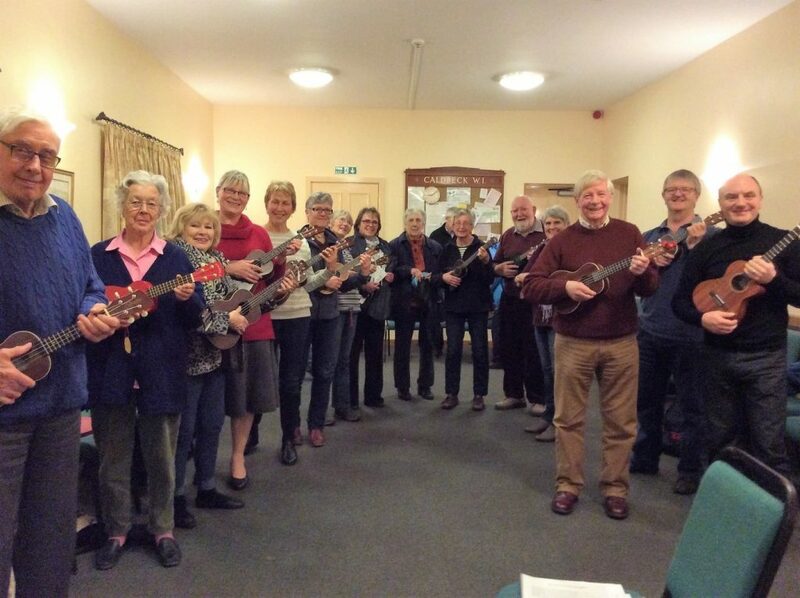 He also very helpfully brought along a number of ukes so that those who didn’t bring in their own could join in. Come and join us – Monday evenings at 7.00pm in Caldbeck Village Hall.